Ankara accused Athens of protecting coup plotters, after Greece’s Supreme Court on Thursday ruled against the extradition of eight Turkish army officers who fled their country after an attempted coup and sought political asylum in Greece. Turkey has issued an arrest warrant for the eight men and will continue efforts for their extradition, according to Turkish Anadolu news agency. Meanwhile, the country’s foreign ministry issued a statement saying that Greece is failing in the war against terrorism, by protecting far-leftist and Kurdish militant groups that attack Turkey. The Greek court ruling appears politically motivated, is against international law and breaches the rights of the victims of the July 15 coup attempt, the statement further said. “We protest this decision which prevents these individuals who have threatened the life of our president and took an active role in a coup attempt that killed 248 of our citizens … from appearing in front of Turkish judiciary,” the statement said. On their part, the eight army officers claimed that they did not participate in the coup attempt and that they fear for their lives should they be extradited to Turkey. They said that their families are subjected to bad treatment as they, themselves, are branded as traitors in their home country and they believe they will not have a fair trial. The charges they face are attempting to abrogate the constitution and dissolve parliament, seizing a helicopter using violence, and of attempting to assassinate President Recep Tayyip Erdogan. 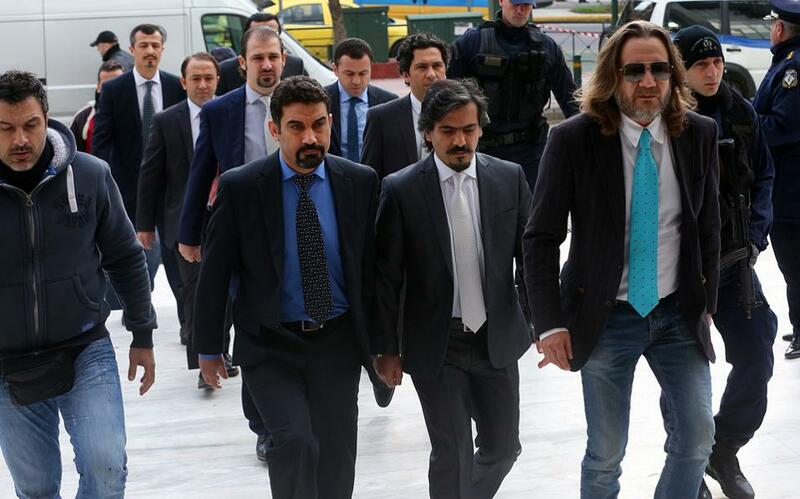 The Istanbul Chief Prosecutor’s office issued a warrant for the men’s arrest following the Greek Supreme Court decision.